Students are expected to present themselves correctly and tidily at all times both in school and on the way to and from school or when involved in off-site visits. 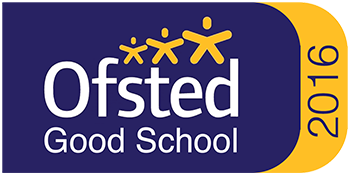 This not only helps to maintain the high standards of the school, but also is good training for later life. There are separate guidelines on dress code for students in the 6th Form available on application to the school. If parents / carers are unsure about whether an item of uniform is suitable for school they should visit our website or contact us directly prior to purchasing. Blazers – This must be the school blazer (black with red braiding and school badge) purchased from Torre Sports / Pro-direct Sport. These must be worn at all times except if involved in physical activity on the field or on the yards during lunch and morning break when they can be removed if desired. If a student wishes to take his or her blazer off during a lesson then he/she should ask the teacher. A black V-neck jumper (not sweatshirt) may be worn under the blazer. Skirts – Black* knee length pleated skirt, as supplied by Torre Sports / Pro-direct Sport or an identical skirt. The skirts should be approximately knee length and not worn in a very short manner (e.g. Not more than five cms above the knee). Tights if worn should be plain black. Socks if worn should be plain black ankle socks. Boys Trousers – Trousers must be plain black* formal style school trousers, as supplied by Torre Sports / Pro-direct Sport or an identical item. Not acceptable: black jeans, chino or denim style or any form of tight stretchy style of trouser. Plain black socks to be worn. If a belt is worn, it needs to be plain black (wide belts and large buckles are not appropriate). Girls Trousers – Trousers must be plain black* formal style school trousers, as supplied by Torre Sports / Pro-direct Sport or an identical item. Non acceptable items are as listed for boys. Shoes – Formal black shoes that are fully polishable. Moreover, Footwear, which displays a sports branding, is not appropriate for school i.e. the Nike tick. Moreover, trainers should not be worn. All students in the main school must wear shoes that are completely black including on their way between home and school. Shoes should be of a “sensible style” suitable for a wide variety of activities that students tackle each day. Shoes should be waterproof, flat soled, leather or leather like, able to be polished and cover the whole foot. Therefore, platform soles higher than 3 cms, high heels higher than 5 cms, mules, flip flops, sling backs and sandals, Converse, Vans or boots of any kind are inappropriate for school wear and must not be worn. School Bags – A suitable school bag which can carry at least A4 folders e.g. ruck sack not a large fashion handbag. School Coat – Dark (blue/black) plain outdoor style coat (with no logo, design or graffiti), preferably waterproof. Denim or leather jackets, hoodies or other sweatshirts are not acceptable as school uniform even as outdoor clothing. Coats, hats, gloves or scarves should not be worn in classrooms at any time. Make-up – Make-up must be kept to a minimum and should be subtle and not noticeable. Therefore, flicks are not allowed. Nail varnish is not to be worn into school, if worn students will be instructed to remove it. False nails are not appropriate for school. Collared Shirt and Tie – Students must wear a white formal shirt which must button at the neck and be tucked in at all times. All ties must be the school’s clip-on tie. Jewellery – Jewellery should be kept to a minimum and removed during PE or sporting activities. If students wear a necklace it should not be visible but worn under their shirt. Bracelets must not be worn to school. If excessive or inappropriate jewellery is worn (e.g. rings) the items will be confiscated and put in a safe place until collected by Parents / Carers (normally from Student Services). Earrings – For safety reasons any earring which is not of a small stud type should not be worn to school. There must be no more than one in each ear. Body piercings – Studs, rings etc including on the face, nose and in the mouth must not be worn to school under any circumstances. Piercings that require a ring, retainer or object to remain in place whilst the site heals is not acceptable during school sessions. Nose studs cannot be worn in school. Aerosols of any description, fizzy drinks, rugby balls, are not permitted in school. Unisex – Plain black tracksuit bottoms, plain black waterproof top. These additional items may only be worn in cold/wet weather at the discretion of the member of staff. Taking part in Physical Education is a mandatory requirement for all children’s education. All students are expected to provide the correct attire for the requirements of each P.E. lesson. Students are required to bring in the correct kit for every lesson. Kit faults will be issued to a student for failing to bring in any kit or the incorrect kit without a note. Please refer to our kit faults sheet overleaf which outline our related sanctions procedures. If a student is unable to participate, a note written by a parent/carer must be produced. If a student is unable to participate for more than four lessons a doctor’s certificate or medical evidence may be required. All items of P.E Kit must be clearly labelled with the owner’s name. Please report any lost item of kit to a member of staff as the school operates a lost property system. Watches/jewellery must be removed and long hair tied back before participating in lessons. Students must hand in all valuables and money at the start of every P.E. lesson. The P.E. department accepts NO RESPONSIBILITY for the loss of valuables not handed in.